Sean Glaze is an engaging keynote speaker, event facilitator, and the founder of Great Results Teambuilding – a company that specializes in providing smart leaders with an entertaining program of relevant experiential activities and team building events that deliver relevant and actionable insights. Sean’s clients have a great time laughing together, then find the value in his debriefing discussions, where he transforms their Ha-Ha’s into powerful A-Ha! insights and takeaways. 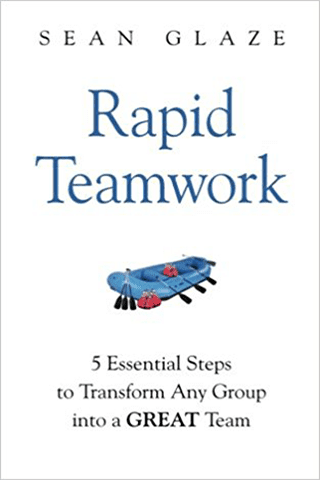 His three books – The Unexpected Leader, Rapid Teamwork, and The 10 Commandments of Winning Teammates – are powerful parables for building and leading great teams. 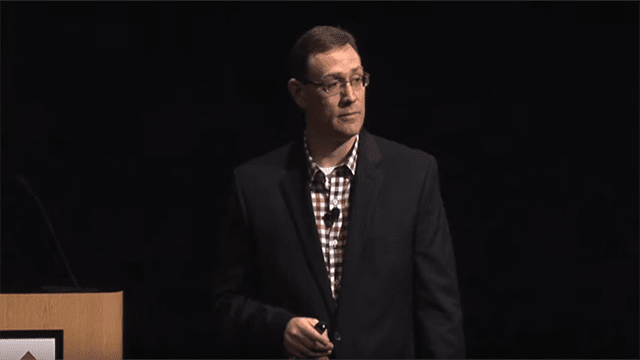 As a successful basketball coach and educator for over 20 years, Sean gained valuable insights into how to develop winning teams, and founded Great Results Teambuilding to share those lessons. Today, he travels around the country delivering interactive team building events and entertaining keynotes that transform employees into winning teammates! 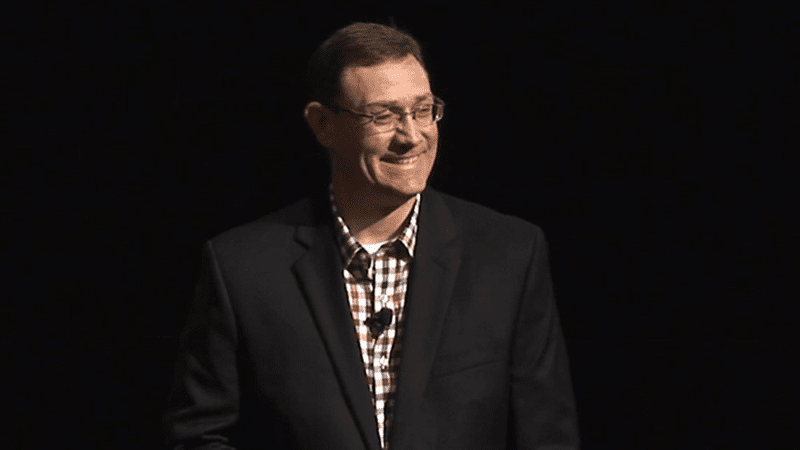 Sean is a member of both the South East Association of Facilitators and the National Speakers Association, where he earned the distinction of “Member of the Year” in 2015. He has a B.A. in English from Georgia Southern University, and a M.A. and Ed. S. in education from Jacksonville State University. His experience as an educator provides a valuable appreciation of learning styles and participants rave about the impact of his engaging and impactful programs. Sean lives just outside Atlanta, GA, with his wife, their three children, and two very lazy dogs. Meet Nick Turner, a talented employee who finds himself changing jobs – again. 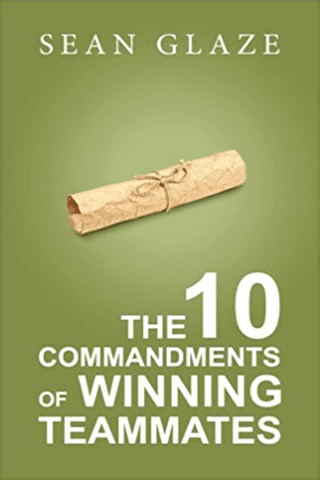 As he travels to his new job, he has a series of interesting interactions that illustrate the importance of the ten commandments his coach had emphasized years earlier. The ten lessons Nick benefits from during his journey to his next job will inspire you to be a winning teammate – regardless of the industry you work in! Sean Glaze is an author who inspires people to have fun laughing together so they can have more success working together. 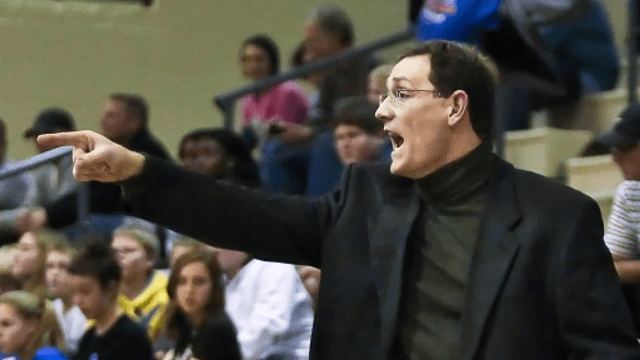 As a successful basketball coach and educator for over 20 years, Sean gained valuable insights into how to develop winning teams. 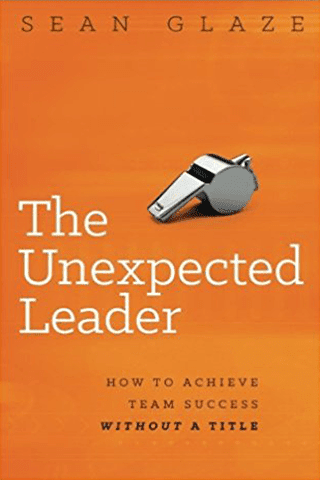 His three books –The Unexpected Leader, Rapid Teamwork, and The 10 Commandments of Winning Teammates – are powerful parables for building and leading great teams! Sean Glaze is an engaging keynote speaker, event facilitator, and founder of Great Results Teambuilding – a company that specializes in providing smart leaders with an entertaining program of relevant experiential activities that deliver relevant and actionable insights. Sean’s clients have a great time laughing together, then find the value in his debriefing discussions where he transforms their Ha-Ha’s into powerful A-Ha’s and takeaways.